I get into trouble often with the Pie for making too much of something, which means we are left with leftovers well past the time when such leftovers retain any appeal. As a result, I’m trying my best to cut down on the size of things I make, even if I’m not using a recipe. I have discovered, when it comes to dips and sauces, the best way to keep them small is to actually construct them WITHIN the container in which you plan to serve them. It even saves you having to wash an extra bowl. These two dips can be made in minutes, and they provide a great side for fried or baked chicken, potatoes, burgers, na’an … you name it. Making them in sealable containers meant that we could take them outside for a Victoria Day picnic. In your container, place a dollop of minced garlic (about a teaspoon) and another of fresh chopped dill (this stuff came in a tube, so it’s a generous squirt, if that helps with your measurements). I wouldn’t use dried dill, if you can avoid it. I don’t think the flavour would be strong enough. 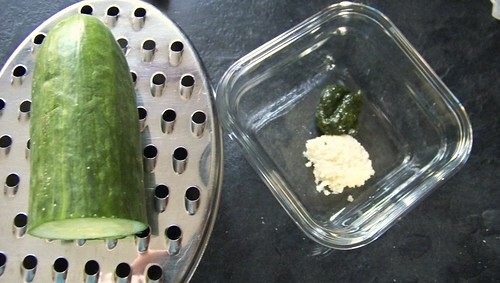 Then you want to grate up about 4 or 5 inches of cucumber. It gets messy. 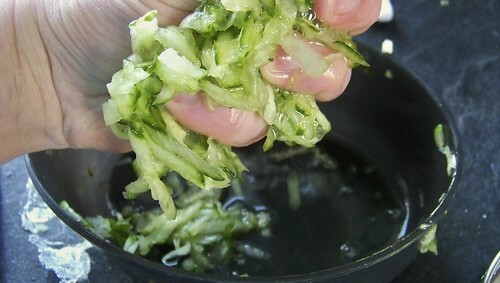 Squeeze your grated cucumber to get out the excess water and plop it in your container. 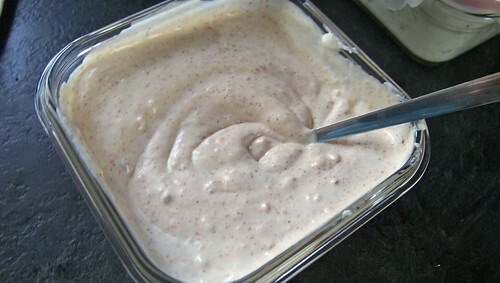 Fill the rest of the container up with Greek yogurt. 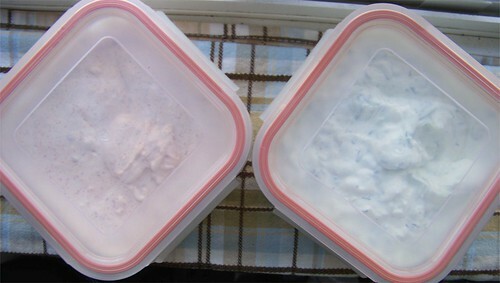 You can use plain Balkan-style yogurt but the Greek is thicker. Give that a stir and let it sit for a little bit. Yum! 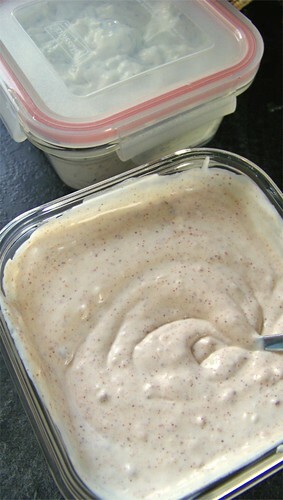 In your container, plop a few shakes chipotle seasoning, together with a couple drops tabasco sauce and a dollop of minced garlic. 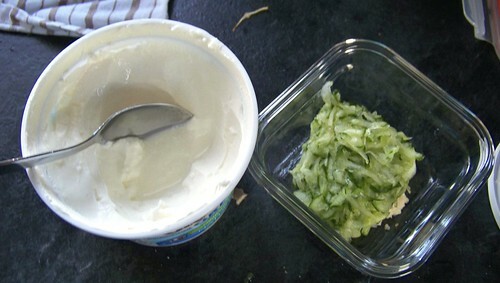 Fill the container up with a combination of mayonnaise and sour cream or Greek yogurt. 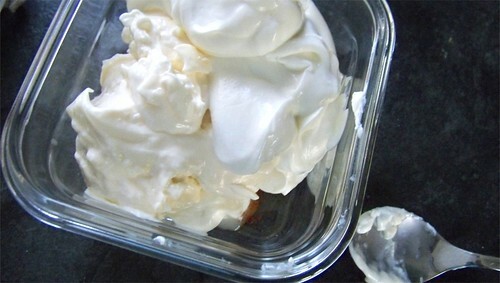 I used half mayonnaise, then a quarter yogurt and a quarter sour cream. Stir that up well (make sure to scrape up all the goodness on the bottom) and let that sit a bit. It’s got some kick! 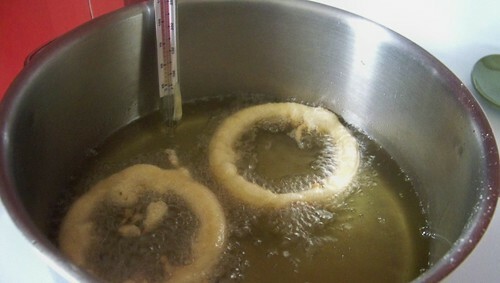 For the Pie’s birthday dinner, we decided to try deep-frying for the first time. We’d been putting it off because, well, it’s incredibly unhealthy, it’s a dangerous fire risk, and our kitchen has no fume hood so we’d be dealing with the aromas of cooking oil for several days. But we needed to learn (in the same way that we need to learn everything else we do here). 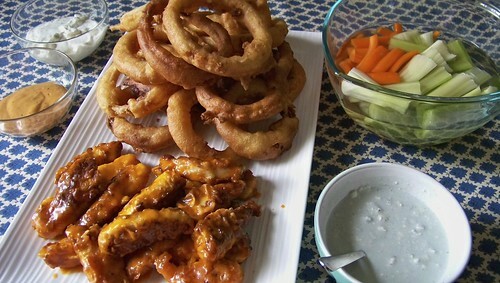 So we decided to try two different methods and make Buffalo chicken strips (with blue cheese dip) and some beer-battered onion rings. Both recipes come from Martha Stewart’s Every Day Food magazine. 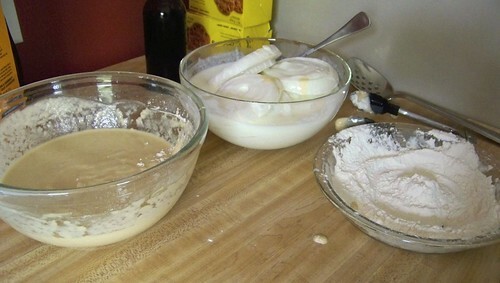 Both recipes involve buttermilk. Now, though I’m presenting two different recipes here, I’m going to give the instructions to you in the order I did them, because that makes the most sense to me. In order for you to differentiate the two recipes, I’ll preface instructions for the chicken with BCS and use OR for the onions. BCS/OR: Turn your oven to 250°F. 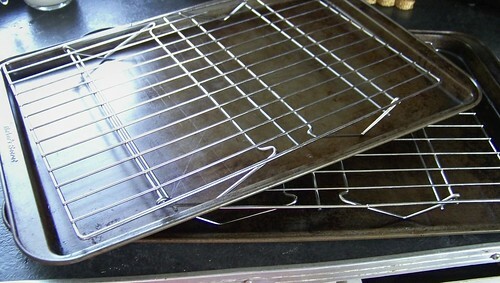 Put some cooling racks on top of rimmed baking sheets and put those in the oven. Those will be your warming and draining trays for your chicken and onions. 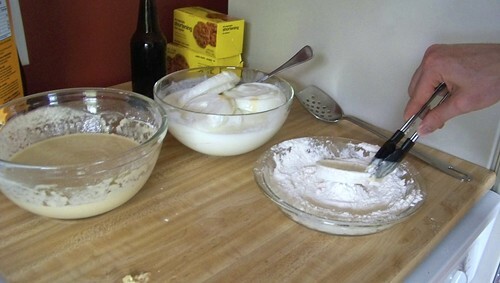 OR: Slice 2lb onions into thick rounds and submerge them in 2 cups buttermilk for about an hour before cooking. 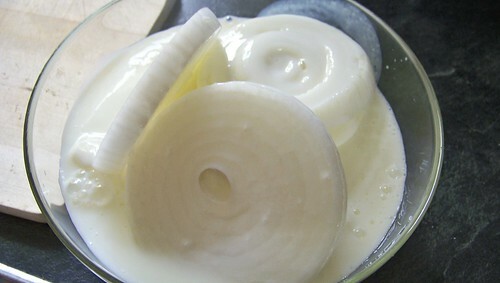 The buttermilk takes the acidic bite out of the onions, making them sweet and tender. Just a warning: following this recipe results in a heckuva lotta onion rinks, so if you don’t want to fry up a million, I suggest halving it, or even quartering it. 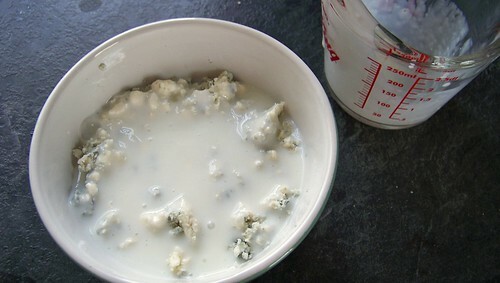 BCS: Crumble up 1 cup blue cheese (I used 400g here and it crumbled to about a cup) and 1/2 cup buttermilk. Stir that around and set it aside. 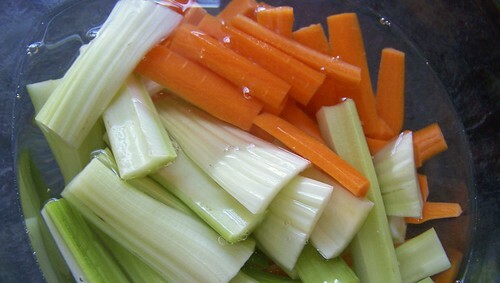 Cut up some vegetables while you’re at it, why don’t you? 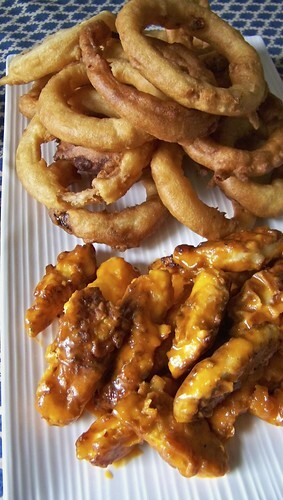 You’re about to consume pure fat — you should probably add in some vitamins. 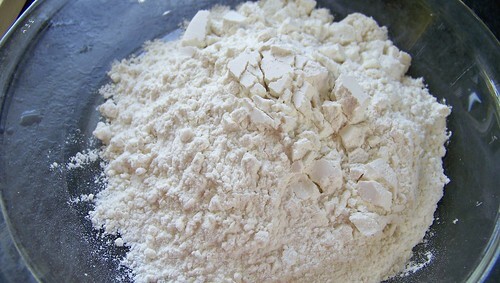 BCS/OR: Plop about 1 1/2 cups flour in a shallow dish and put that near your stove. That’s for the batterin’. 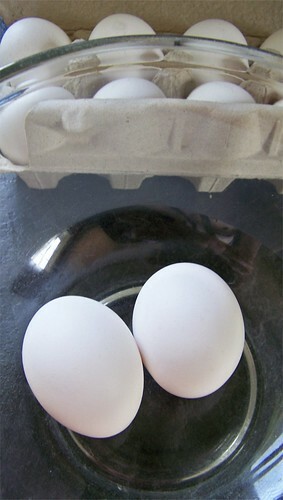 OR: Crack two eggs into a bowl. Whisk ’em. 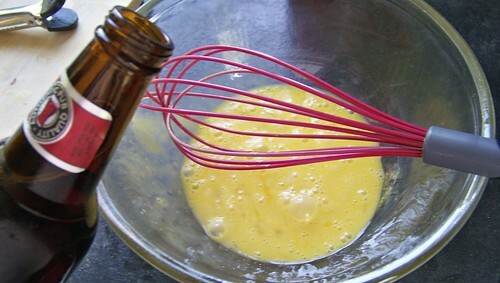 Whisk in 1 bottle lager or pale ale. 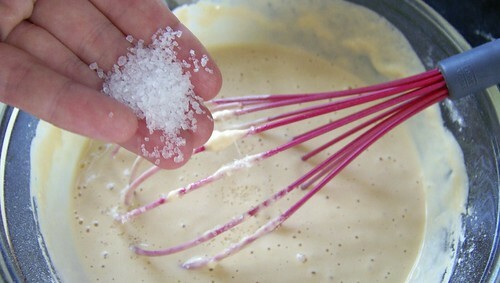 Whisk in 1 1/2 cups flour and 2 teaspoons coarse salt. Set that near the stove as well. 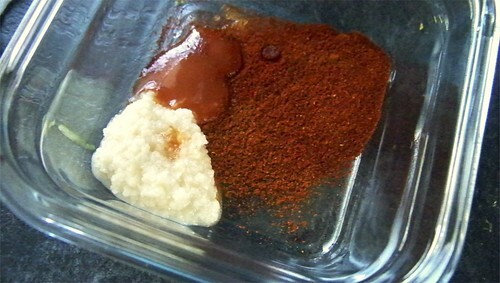 BCS: In yet another bowl, combine 1/3 cup hot sauce with 3 tablespoons butter. Stir well and set that aside for now. 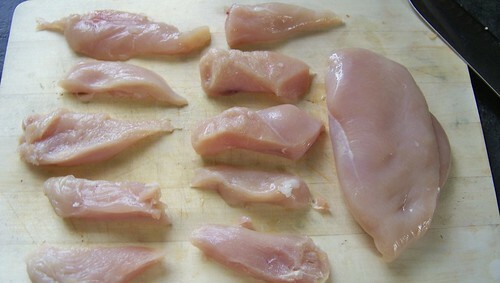 Slice up 3 boneless, skinless chicken breasts into finger-sized pieces. 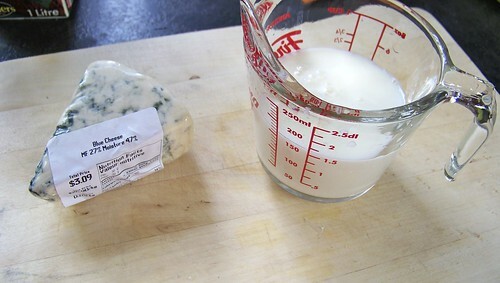 Dip them in 1 cup buttermilk. 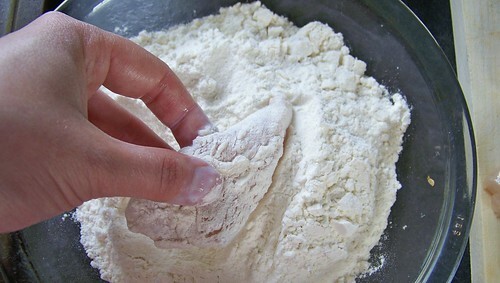 Then into that flour you have ready. Lay them out on a baking sheet. I think we’re about ready to start cooking. 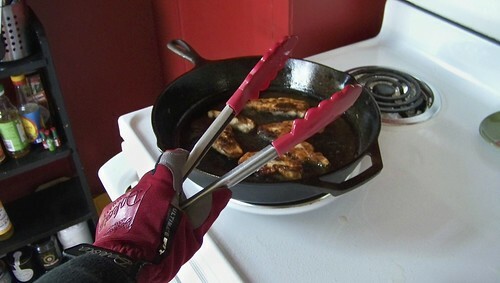 While I’m sure you could do these two dishes at the same time, I am far from experienced with hot-oil cooking, rather prone to accidents, and I only have one large-sized element on my stove. 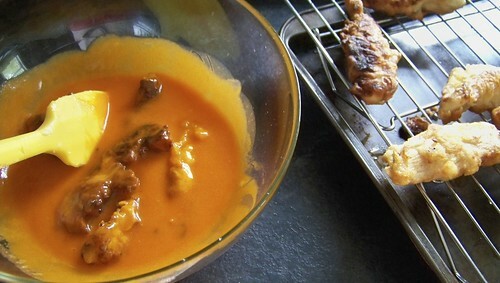 So I am going to cook the chicken first, as it doesn’t need to be crispy and can therefore sit in the oven for longer. As a safety note, we had a box of baking soda handy at all times during this, in case of flareups. 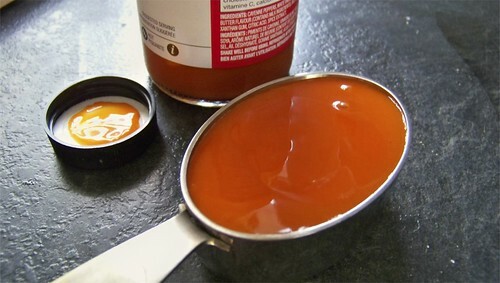 Never leave hot oil unattended, and never, NEVER add additional oil of any kind or any temperature to oil that is already hot. 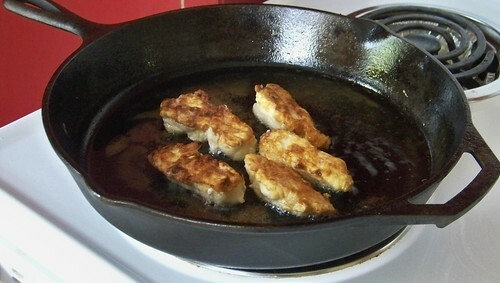 BCS: Heat 1/2 cup to 1 cup vegetable oil in a heavy skillet. 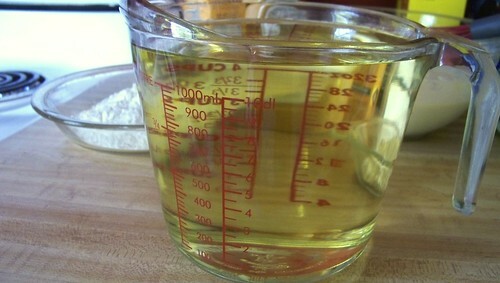 You can tell if the oil is hot enough for frying when a pinch of flour dropped into it fizzes rapidly. 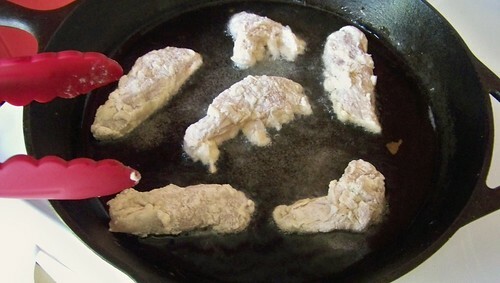 Slide a few chicken pieces in, working in batches. Cook for about 6-8 minutes, rotating halfway through, until the chicken is golden brown. 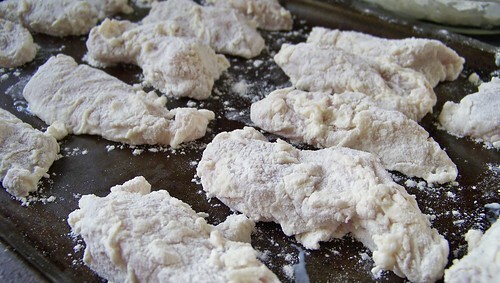 Remove the cooked chicken to the rack in the oven. This was a very spatter-y process, so I wore long sleeves and kept my face averted from the pan. My hands kept getting burned from little splashes of oil. In the end I pulled on a pair of work gloves to protect them and worked happily after that. Make sure to let that oil cool before you move it anywhere. OR: In a large, wide saucepan, heat up 5 cups vegetable oil. I know, that’s a lot of oil. 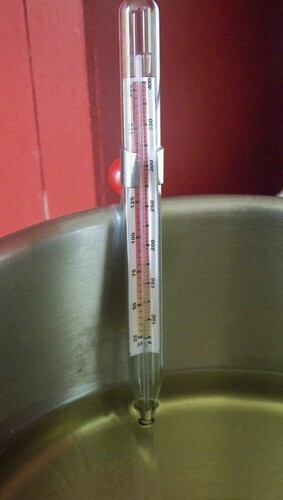 Use a candy or deep-fry thermometer and continuously adjust the temperature of your element to keep the oil at 375°F. If it gets too cold, it won’t cook the onions all the way through, and if it gets too hot, well … let’s not think about that. 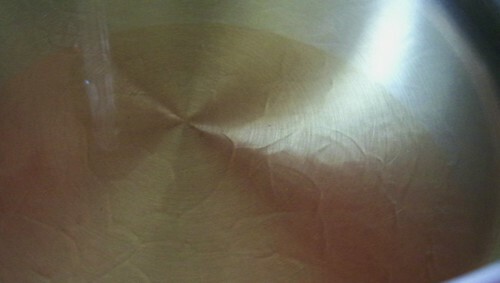 What was interesting was the cool pattern the oil made while it heated. 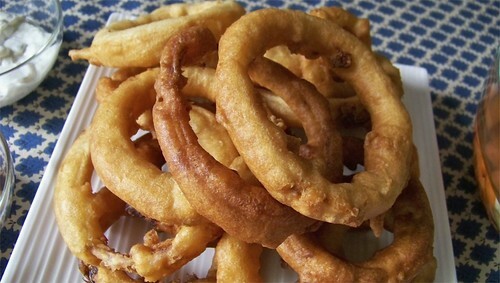 Take a ring of onion out of the buttermilk and dip it in the flour, then into the beer batter. Shake off the excess. 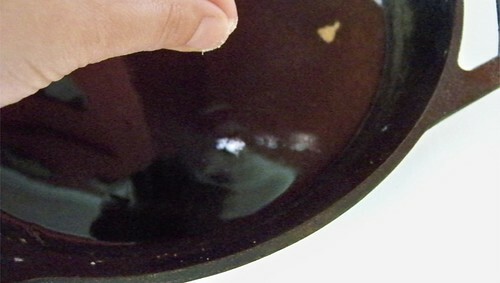 Slide the ring carefully into the hot oil. Cook in small batches, rotating halfway through, for about 5 minutes. Remove to the other rack in the oven to drain and keep warm. This method of frying was wayyyyy less spatter-y, if you were interested to know. We had a lot more onions left to cook after we had cooked as many as we thought we could eat. We figured they would keep until tomorrow and we would try again. BCS: When everything is cooked and you are ready to go, take the chicken strips out of the oven and toss them in the hot sauce. These will be served with the blue cheese dip we made earlier. 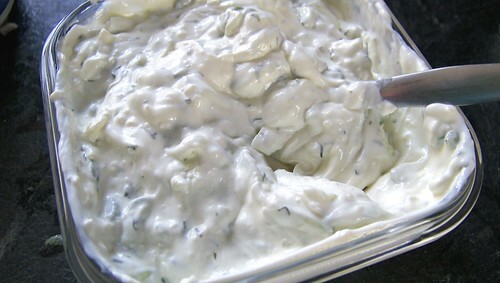 OR: For the onions we had a nice tzatziki dip as well as a chipotle mayo. All told, it was pretty epic.